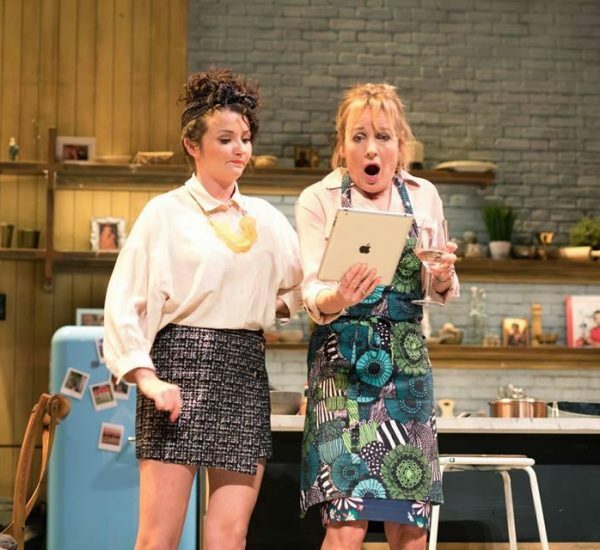 Torben Betts’ latest offering, Caroline’s Kitchen, is fast, funny, fairly farcical and a masterclass in how self-centred modern life has become. 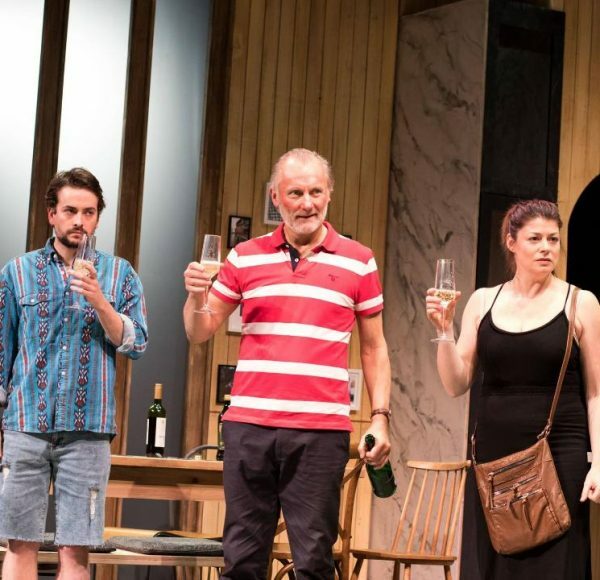 The play starts as an Alan Ayckbourn-ish comedy about a dysfunctional upper-middle-class family and ends like a Jacobean tragedy. We got to see the show at The Assembly Hall Theatre before it continues its tour and heads to New York. 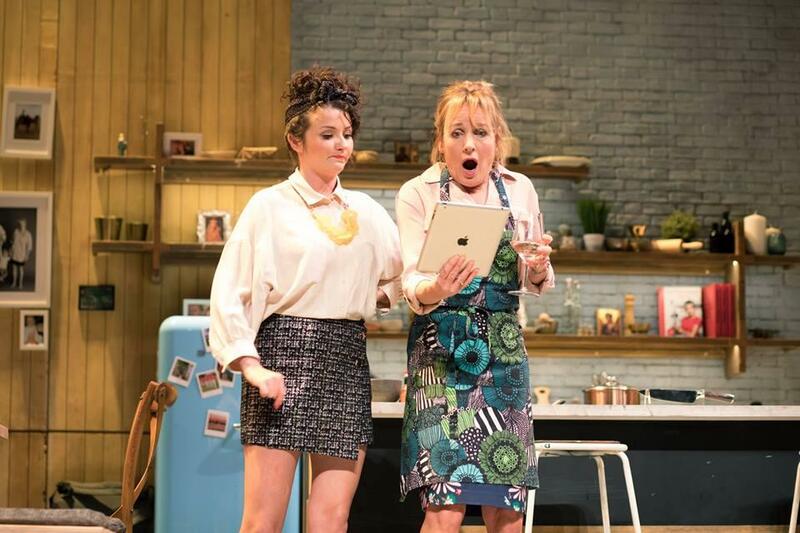 The reworking of the play (originally seen under the name Monogamy) revolves around Caroline, played by Caroline Langrishe, a TV chef who broadcasts a cooking programme from the kitchen of her home, a kitchen that really is to die for! On the evening we meet Caroline at her North London home, she is hosting a family celebration meal. Caroline has a sparkling career as the darling of TV cooking programmes, has a new book out, and her son Leo has just returned home after graduating with a First from Cambridge University. It all looks so perfectly peachy. But, of course, it’s anything but – and as the story goes on we’re drip-fed information that eventually shatters the illusion of Caroline’s perfect world. Her crazy PA, Amanda (Jasmyn Banks), embarks upon damage limitation after a popular tabloid website gets hold of paparazzi photos of Caroline blind drunk in the West End. 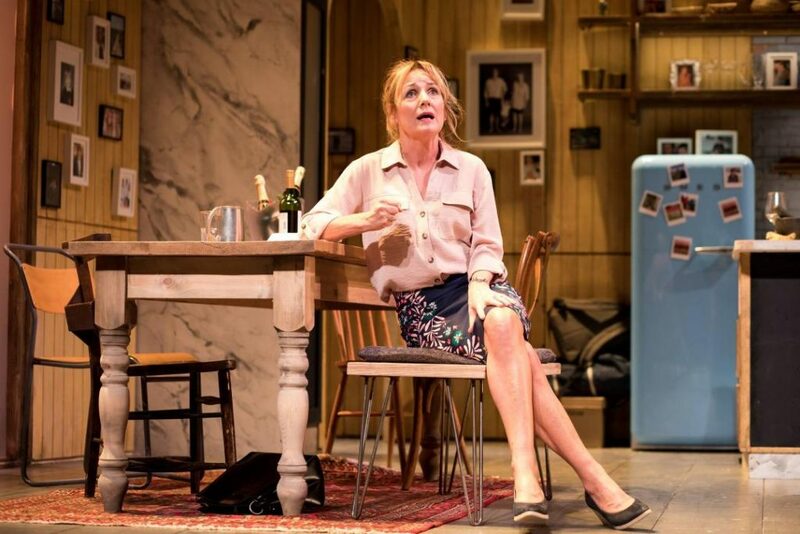 Her new PA has a few issues of her own adding to funny moments in the play while coked up! Aden Gillett as Caroline’s overbearing, golf obsessed, retired banker of a husband is a archetypal “Man’s Man”, he seems totally incapable of displaying affection towards his family, and yet he is desperate to know that Caroline will forgive him for his recent affair – totally unaware that Caroline’s is just as bad in her feelings for her Carpenter. 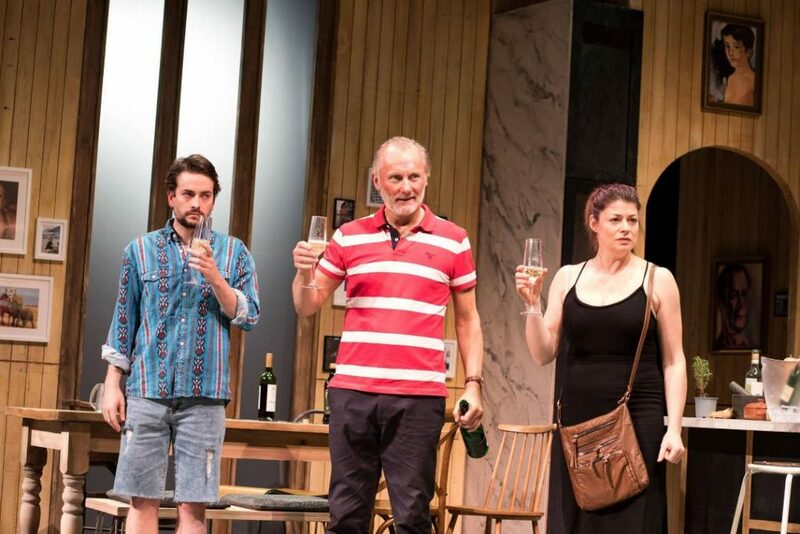 Although we never really know just how far Caroline’s desire for hired carpenter, Graeme (James Sutton), has progressed – the sexual tension between them is palpable – Graeme’s wife Sally (Elizabeth Boag) visits the house and has been reading text messages on his phone and knows exactly what has been happening! Elizabeth Boag shines as the mentally-fragile Sally – to explain how she fits in would give too much away! Caroline is trying to maintain appearances, to protect her public image, but, as a huge storm breaks outside, with Sally’s arrival on top of everything else, an even bigger one breaks within the confines of the kitchen – the single set working well to intensify the building tension. With everything that is going on around him, as every character tries to deal with their own personal demons, Caroline’s son Leo (Tom England), who plans to head off to Syria is trying to “make an announcement” to his father– but, as the chaos increases within the kitchen, and yet more alcohol is consumed, by the time he gets to reveal his secret, events have already escalated to an unmanageable level! The set by The Scenery Shop and Set Blue Scenery is superb; all the action takes place in Caroline’s kitchen and the props even subtle ones like pictures on the wall or items in the fridge make the location feel believable. The show is a dark comedy and makes you think about life and the six characters give a whole new meaning to self-centred. Each is so wrapped up in their own world, full of “first world problems” and don’t hear each other and ultimately are the architects of their own downfall. The play is funny and farcical, and hugely entertaining. Betts has put together a group of fairly unlikeable characters – but it feels up-to-date and real. And while you may not specifically like the characters, you’ll most certainly relate to each of them, and come away amused and entertained. For more information on Caroline’s Kitchen and the tour see online.